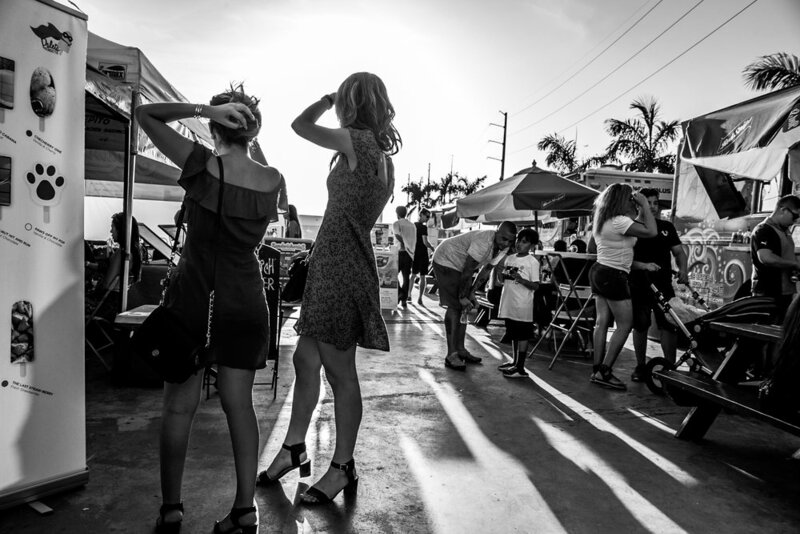 Over the weekend I attended the Miami Street Photography Festival. I am overjoyed that it was hosted in Miami, that there was great attendance, and an international group of renowned photographers were present to share their knowledge with those in attendance. However, I came away more confused after leaving the festival about what street photography actually is. Especially to those that are held up as the experts of the genre. Additionally, there was a clear under-representation of Black and White photography. in favor of color photography. I would have thought at least it would have been closely equal. Street Photography has always been dominated by the black and white image. Making black and white images is clearly more difficult. As was said by a famous photographer, “Any fool can make a color image!” Besides image color I was even more confused by composition. Many images were obviously staged, and admittedly so. While a street portrait of an individual in a natural pose, as well as candids are called Street Photography, there has always been a recognized line to not purposely pose an individual or create a specific scene. And yet I saw many instances of this. I don’t know if all of these things are a trend or an evolution. Some people argue that we see in color, therefore, images should be in color. I don’t really know. Nor do I know that it actually matters. Like I said, I am confused, but that is not to mean that I will change my style. I was invited to a charity event for the 2014 Youth Radio Awards. Do not know much about it but I thought the DJ looked interesting. Another abstract photographic experiment. In my mind it all starts out when I see a grouping of colors, light, or shapes of normal mundane items and imagine then in an alternate way. Most of the time by adding movement. In this image, which was one of many attempts, I shot my instrument panel while rotating around the axis of my speedometer. My365Project - 145/365. 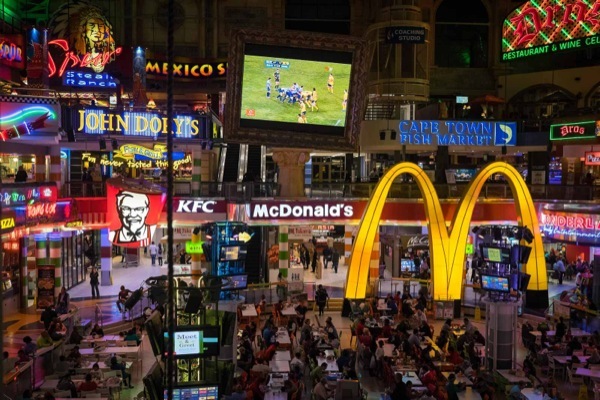 It is a relatively recent phenomena that South Africa has received the "Fast Food Spawns of Satan": McDonalds, Burger King, KFC, etc. Here in Cape Town it is all the rage. Before you know it South Africa will have similar obesity problems as seen in the USA. Too bad. The food is so good here! My365Project 143/365.